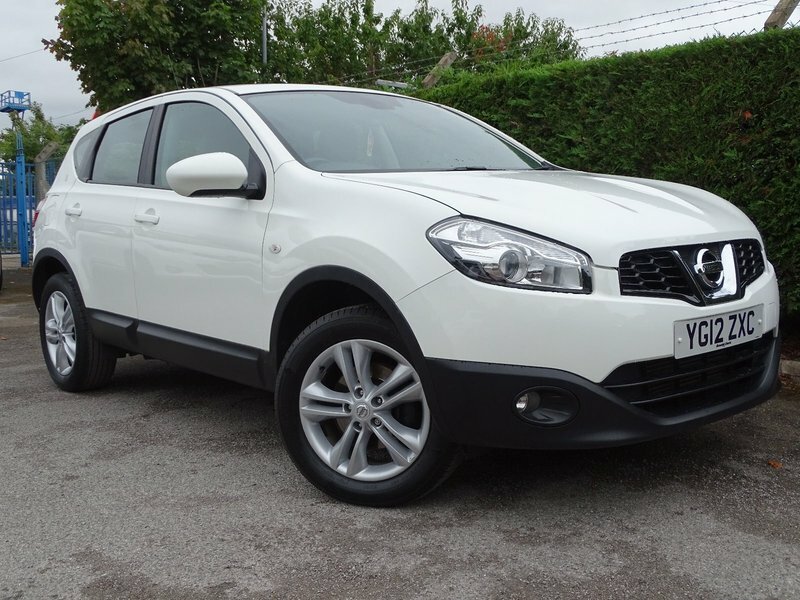 Very well kept Qashqai Acenta ,1 former keeper, 2 keys , Service history: 4 main dealer service stamps, Rear parking sensors, Bluetooth and cruise control., Mot,12 months basic AA breakdown cover,3 months warranty, service and PDi inspection all included., 17in Alloy Wheels, 2DIN CD Player with USB, iPod and Auxiliary Inputs, ABS with Brake Assist, Auto Lights, Auto Wipers, Bluetooth Integration, Body Coloured Bumpers, Centre Rear Seat Belt, Cloth Seat Trim, Cruise Control with Speed Limiter, Drivers Airbag, Dual Zone Climate Control, EBD, ESP, Electrically Adjustable and Heated Door Mirrors, Front Fog Lights, Front and Rear Armrest, Front and Rear Electric Windows, Front and Rear Headrests, Height Adjustable Drivers Seat, Immobiliser, Isofix Child Seat Anchor Points, Lumbar Support, PAS, Passengers Airbag, Remote Central Locking, Side Airbags, Six Speakers, Space Saver Spare Wheel, Steering Wheel Rake and Reach Adjustment, Third Brake Light, Traction Control, Trip Computer, Ultrasonic Alarm, Ultrasonic Rear Park System. 5 seats, White, We are a Flintshire trading standards and AA cars approved car dealer , J.M Motors have been helping customers buy quality reliable used cars in Hawarden, North Wales for over 38 Years. On site servicing and workshop facilities ensure all our vehicles are prepared to the Highest Standards. Visit our Website for a full stock list www.jmmotorshawarden.co.uk or Find us on Facebook search : JM motors Hawarden where you can read more reviews.